Look no further for qualified opticians in Frome. Call O’Toid Opticians now for a great range of eyewear options as well as first-class service. What’s more, we offer a guaranteed comprehensive sight test with a qualified doctor of optometry. Rest assured that you’re in safe hands with O’Toid Opticians. Not only do we help find the right strength of lenses to meet your needs, we go much further by giving you the care, attention and professional dispensing advice to find the perfect specatcles for you. Enjoy greatly improved eyesight without the need for frames with a trial of our superb contact lenses. With something for all age groups, it’s easy for children and parents alike to have clearer sight without the worry of carrying glasses around. Monday – Friday, 9:00 a.m. until 5:30 p.m.
Saturday, 9:00 a.m. until 1:00 p.m. Call O’Toid Opticians on 01373 467 467 for quality service from our expert opticians in Frome. 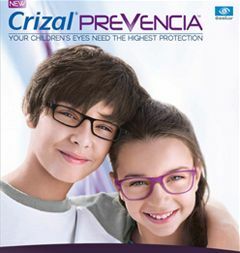 We’re also available by e-mail at admin@otoidopticians.co.uk.